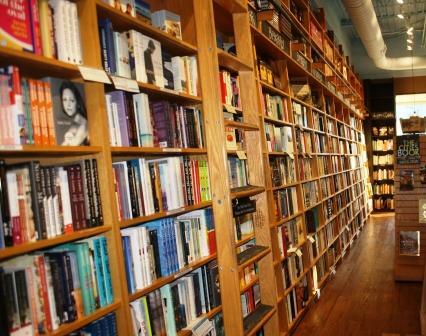 For book people in the mid-South, heaven is a place called Parnassus Books. Located in a strip mall in Nashville, the store is full of new releases, classics and staff picks. Parnassus often hosts book signings and signed first editions are available. The bookstore came into being when Davis-Kidd Booksellers closed in December 2010. That store had become part of the Joseph-Beth Booksellers family and when Joseph Beth ran into trouble, the chain closed the popular and profitable store. "Profitable, but not profitable enough" according to the owners. The end of Davis Kidd left a strong independent bookseller void in the capital city of Tennessee. Parnassus Books was born by popular demand and author Annie Patchett stepped up to fill that void. Booksellers from Davis Kidd found their way to the store at 3900 Hillsboro Pike. The staff brought knowledge of the market and a love of books from their old jobs to their new. Parnassus Books is a bookstore, an entertainment center, a community gathering place with a bookmobile and voter registration stations to boot. 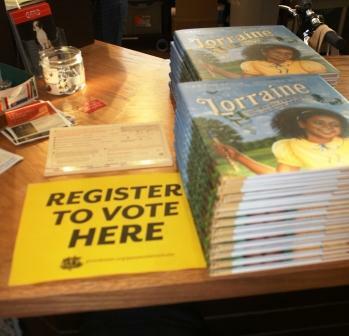 Author signings, book club groups, children's programs happen almost daily. Parnassus is a stopping place for book tours. Sally Field, who recently wrote her autobiography, "In Pieces" did a signing for Parnassus held in a larger venue. The interest in seeing and hearing Field and buying her book has a benefit for those who could not make the signing. Parnassus had signed copies in the store after the event. Prolific historian, author and Nashvillian Jon Meacham must be a regular. His books are prominent on the signed books table. 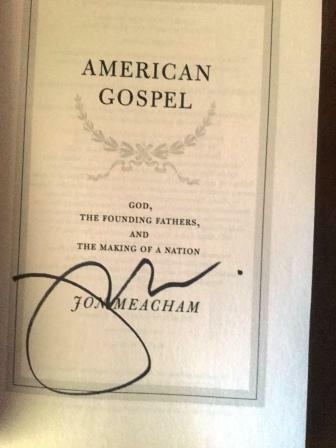 At right, a signed trade paperback copy of Meacham's "American Gospel." Children's books take up a large portion of the store. From bedtime for baby stories to chapter books to young adult (YA) novels, parents, grandparents and kids have a dizzying number of choices. There are signings and readings for young readers. Children's book authors come from all walks of life. Singer Ketch Secor of Old Crow Medicine Show was on the Parnassus program to share his first picture book "Lorraine" shown above, tells the story of a little girl finding her voice. A love of family, music and Tennessee fill the colorful pages of Secor's first book. Parnassus is open seven days a week: Mondays to Saturdays from 10 am to 8 pm and Sundays from 12-5 pm. To shop Parnassus online, go to www.parnassusbooks.net or find them on Facebook, Twitter, Instagram and Tumblr. And anywhere else that fine books are sold.